Ohmygoodness. 1984. The day after Christmas, I think. Grandma and Grandpa Moslander, plus Tim, Tami and Dan had come down to see us in Kokomo. 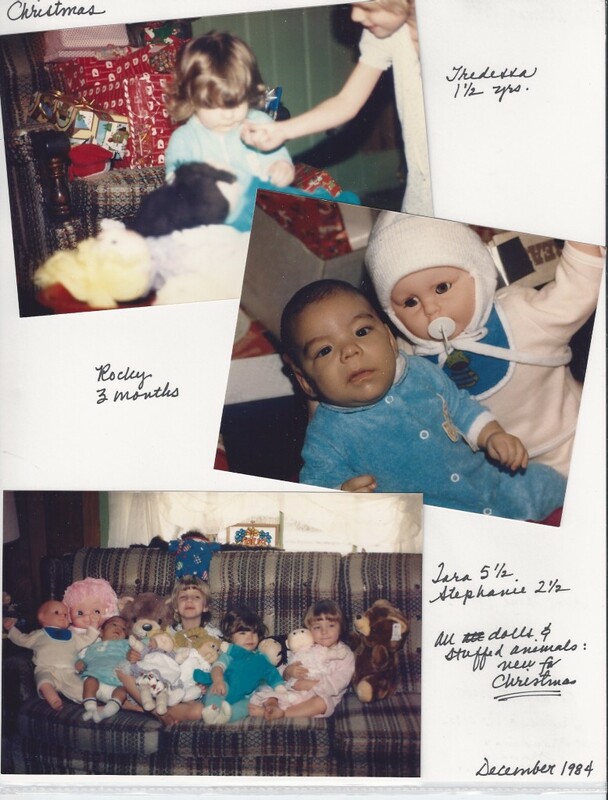 Kenny Rogers’ first Christmas cassette was my music of choice, “Christmas is My Favorite Time of Year.” My mom made matching outfits for the kids. Little Stormie was yet to come, just a year and a half later and then we were complete. Oh wow. I miss the days of my babies all near. I love the people they have become and the families they are raising and the lives are they are leading. Really, truly admire my children. I mean they are all so smart and well-written and great speakers and singers/musicians, oh yes, they are! But these were sweetness, too. 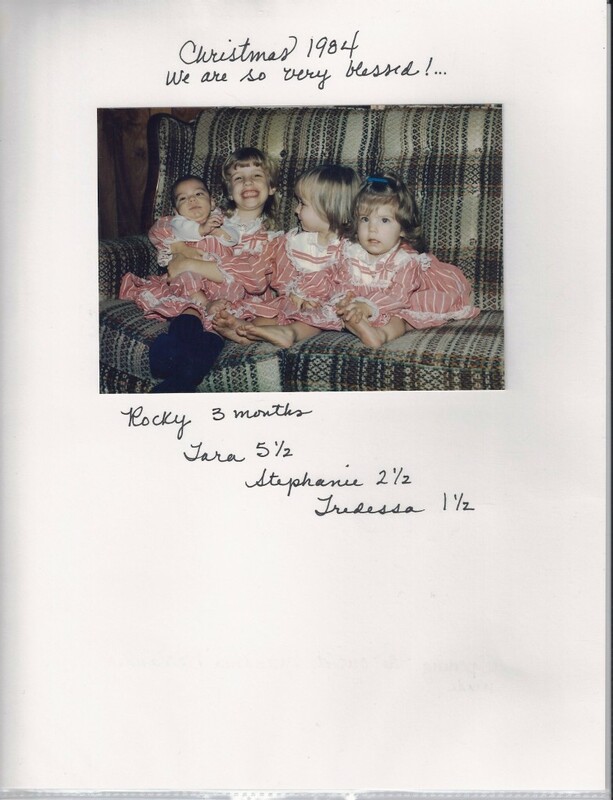 Days of bare feet and dolls and stuffed animals strewn about our “parsonage-hand-me-down” furniture and matching outfits on knee-high humans and tousled hair and cups of spilt milk. And I miss them. Yes, and once again, in class at lunch with students so I can’t let my emotions run wild. But I do cherish and remember those days, of love and laughter and the kids were our only entertainment!